The security industry is on the top of the list of industries that incorporated technology to change the way its services are created, implemented, operated and managed.Technology applications became an integral part of any modern security solution. 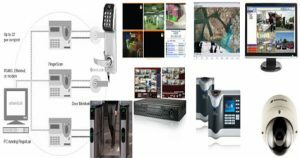 Whether, the client needs are surveillance, access control or merely tracking of assets,multiple technologies constitute the final solution.The common denominators of any technology based security solutions are acquiring, transmitting, collecting, analyzing and storing. At Kuwait Computer Services, our security core competencies revolve around the common denominators.The in-house expertise can accommodate high end secure technologies to use in any of the denominators phases. It is important to allow our client to have freedom of design and create an independent solution of trademarks that is functionality centric.Therefore, Kuwait Computer Services has chose to use LENEL as the core of its systems and designs for its high level of integration to multiple technologies and machine language. This solution offering is considered the most modular solution. It is also empowered by its centralization ability that presents seamless integration with the enterprise existing infrastructure and core services. The fact that the solution is centralized offers today’s IT departments the ease of controlling remote location, configuring new sites, centralized alarm management, redundancy, fault tolerance and command center capabilities. Most of our clients evolve into the ESMS as part of their strategic security plan side by side with their business development plans. We join our clients at the stage of drawing board to assist them to choose competent solutions that fits their current and future needs. This is client’s entry level to medium security solution with less complexity and modularity. It incorporates multiple functionalities and services that are specific to a unified homogenous system (Template System) or to a geographical location. The capabilities of the offering are wide in comparison to your day to day security needs. 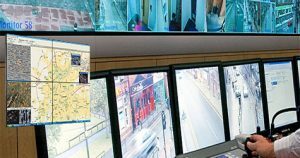 The solutions will present clients with a turnkey solution to manage all their day to day security department activities. This can include indoor/outdoor access control, parking, badging, alarm management and visitor’s control. The solutions are not industry specific as it is more functionality specific. Hence, the limitations of implementation of such solutions are governed by client’s requirements. The Custom Security Management Solutions(CSMS) solutions are very specific solutions to a specific need. 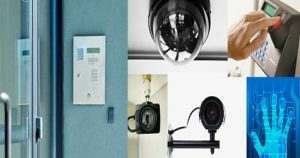 These solutions can be part of a larger existing client security infrastructure or part of a building management system. In essence, custom solutions are made with any degree of modularity based on existing systems and required functionalities. In addition, at this level of solutions the environment of implementation will play a great role in dictating the solutions parameters. Clients tend to choose these solutions when they have immediate or very specific needs. This then will be handled by our customization team in parallel with our technology partners.